This extension replaces a previous outdated and unused sunroom that was always either too hot or too cold. Our clients wished to add a luxurious, cosy and comfortable family drawing room to their house. 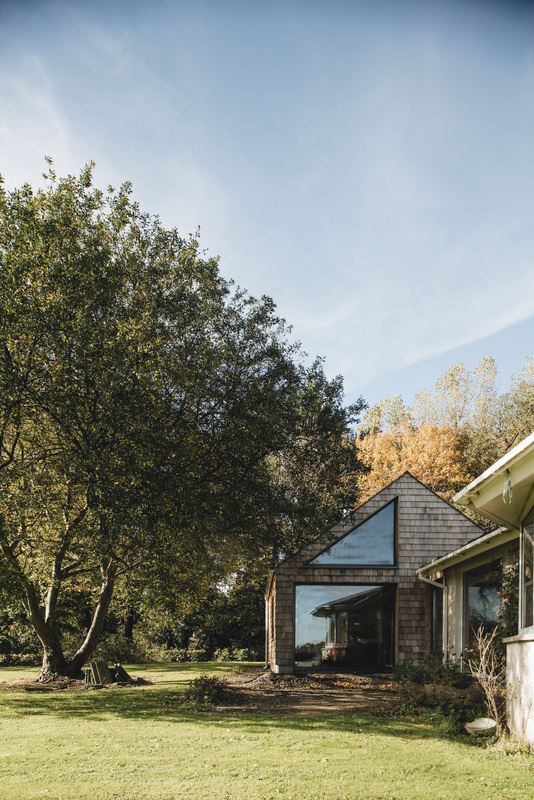 This freestanding solution is connected to the house by a glazed link, with a flat zinc roof that projects beyond the building envelope to create a veranda along the house’s gable. 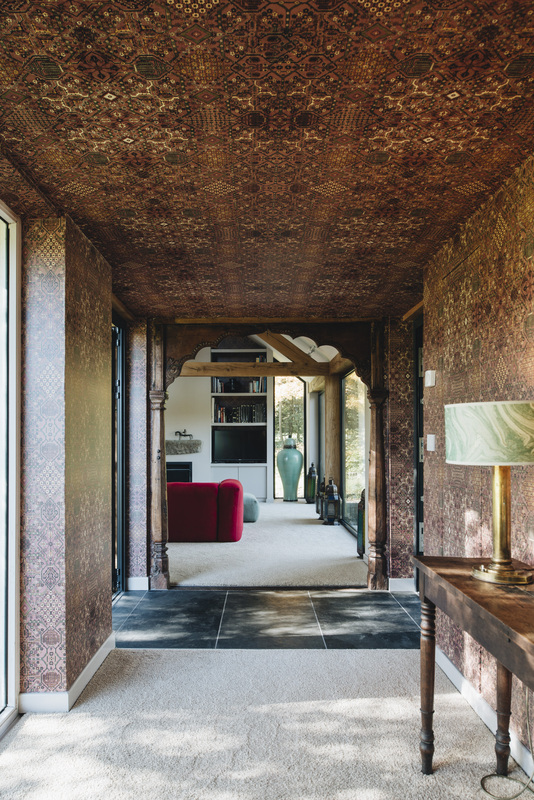 The link was designed to accommodate two antique Indian arches, sourced by the client, which mark the threshold into a vaulted room where an enormous open fire and feature oak truss provide a dramatic yet cosy, garden-embracing living space. 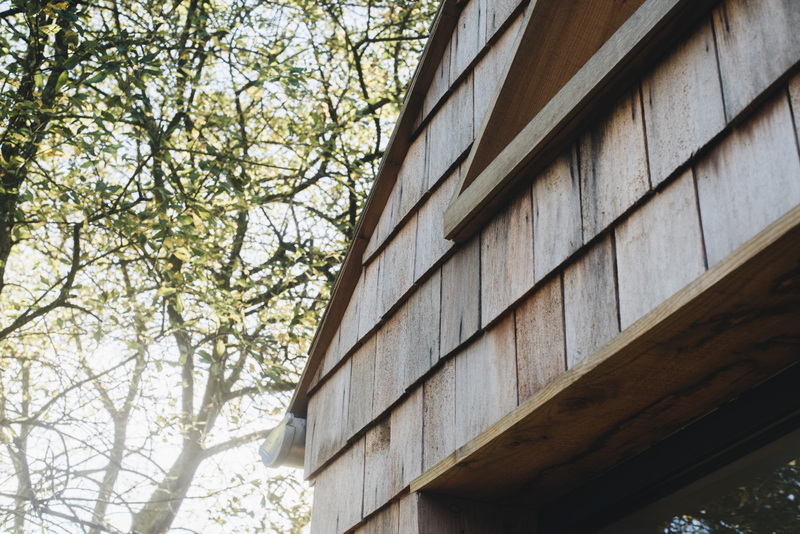 The new room is a familiar vernacular form, clad entirely in western red cedar shingles. Openings have been carefully placed to capture favourite views and light at particular times of the day, without losing a sense of cosiness and enclosure. The new drawing room is connected to the house by a passageway that has been flanked at either end by the Indian arches, and lined in a sumptuous oriental wallpaper. On a perpendicular axis, a glazed link and verandah transect this tunnel, extending the distinction between old and new, and providing garden access to both sides. The urns have found homes within purpose-made deeply recessed windows to either side of a large, inset fireplace. Additional heating is provided using innovative invisible ‘JouleTherm CeP electric paint’, applied to the vaulted ceilings. 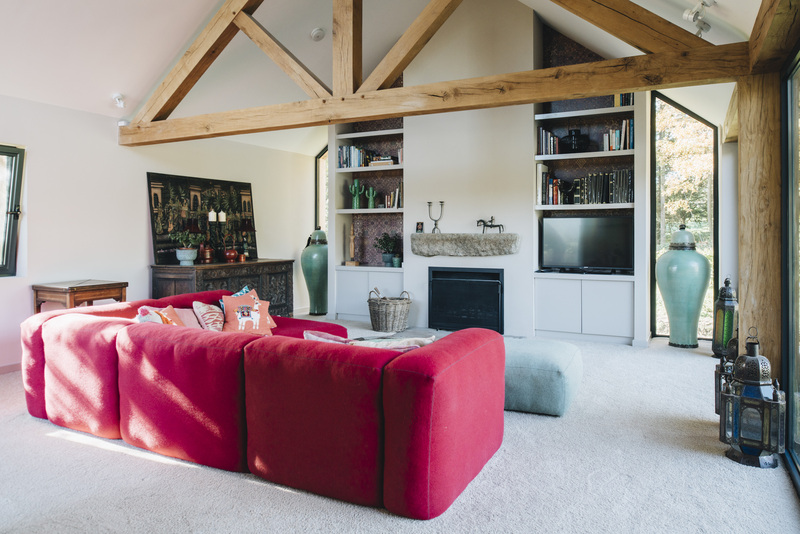 One feature oak truss enlivens the vaulted ceiling, below which an oversized Scandinavian sofa provides a bold and luxurious centre-piece.